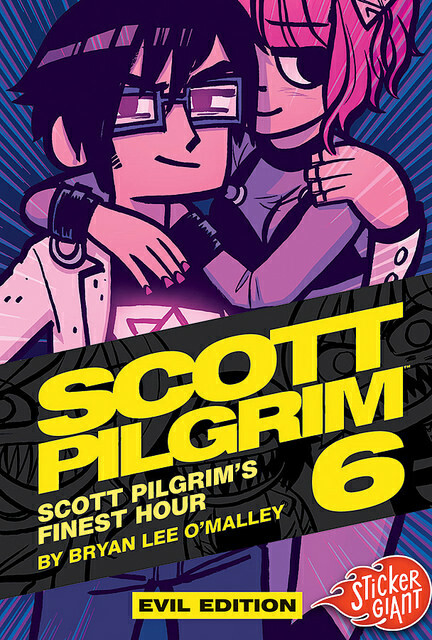 Scott Pilgrim is back! Bryan Lee O'Malley's graphic novel released yesterday for sale and is offering everything Scott Pilgrim fans love... STICKERS... and awesome artistic storytelling, of course. Scott Pilgrim is a series of graphic novels, originally released as a black and white series of six starting back in 2004. Oni Press started releasing these graphic novels in full color in 2012. So Scott Pilgrim's Finest Hour, what's the story? 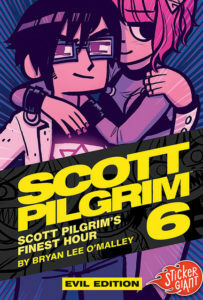 "SCOTT PILGRIM has faced down six of Ramona Flowers's evil exes but now that the happy couple is no more, was it even worth it? And if Scott and Ramona aren't together, then why do the ominous messages from Gideon Graves keep coming? 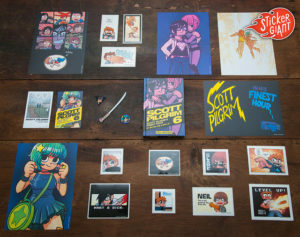 This the end of the SCOTT PILGRIM saga like you've never seen it before--in full glorious color with a bevy of extras. This is truly SCOTT PILGRIM'S FINEST HOUR." 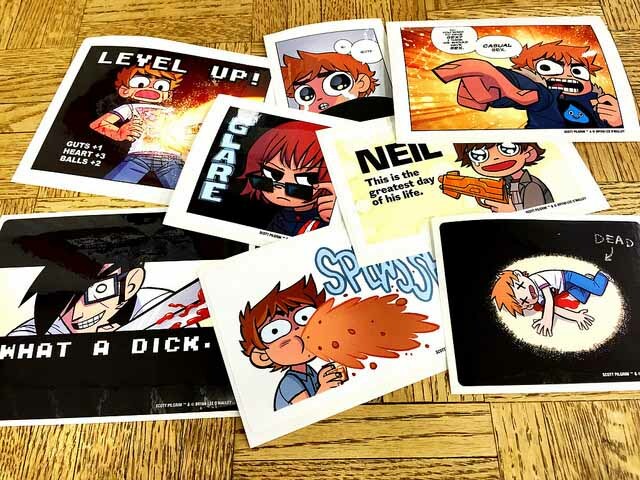 The fantastic part of these Scott Pilgrim color releases is getting to print the full color stickers that are included in the Collector's Edition of Scott Pilgrim's Finest Hour.